As small business owners who want to build our businesses on Christian values we are constantly challenged to find the intersection between wise business decisions and sound Biblical Principles. In many areas, we might initially see contradictions between the two. As a Christian Small Business Coach, many of my clients have expressed frustration and confusion when trying to apply their principles to real life events. One of the intersections that seems to perplex Christian business owners the most is how and when to hold employees accountable for their performance, while still being compassionate, loving, forgiving and charitable. When I met Jeff, he was about to throw in the towel on his business. He was a good attorney, but he just couldn’t get his team right. He would hire an employee and it seems like from day 1 the employee would have a million excuses about why they couldn’t come to work on time or had to take a day off. Everyone had issues. They had sick children, legal issues in their divorce, or were down and out and having to share someone else’s car. Each excuse, by itself, seemed reasonable. These employees had genuine hardship. Jeff felt compassion for his brothers and sisters. He couldn’t just fire them because after all they really needed a job and he did not want to ignore his desire to be charitable and help those in need. He felt like he was trying to do the right thing as a Christian, but as a business owner it just made him feel trapped – and it was hurting his business. Another client, Ed had an administrative assistant who just wasn’t pulling her weight. She had started out strong but now was cutting corners and making mistakes. He had mentioned the problems to her, but things weren’t changing. Ed only had 5 employees including himself. If even one person did not pull their own weight it had a huge impact on the business and all the other employees. When I asked him if he wanted to replace her he actually looked surprised. I guess because I am a Christian coach, I am not supposed to suggest replacing an employee? And even considering firing her made him feel bad. He thought that maybe as a Christian he hadn’t really done everything he could to help her be successful. At the same time, he felt confused and frustrated about how to hold her accountable to the standards of work she had agreed to do – and had done well in the past. I understand this difficult dilemma first hand. As a convert to Christianity, I went through a period just after becoming a Christian where I wasn’t sure how to act in my business at all anymore. I wanted to reinterpret my motivation, goals, and actions from a biblical perspective. I felt I could no longer make decisions based on what actually worked in business, but only based on what Jesus would do. And that is where the real challenge and solution lies – in developing a true understanding of what Jesus, the business owner, would do – an understanding of what Jesus would have you do as a business owner. What Would Jesus, the Business Owner, Do? Jesus was fair and compassionate. He taught love and forgiveness. He commanded us to serve and help those in need. But, he did not ignore people who ignored their commitment to God’s commandments. He did not offer blanket forgiveness for all behavior, as long as the person could claim ‘hardship.’ He did not lower his standards to make righteousness easier for those facing challenges in life. He held people accountable to God’s word. Jesus was a leader, he took action, and he held people accountable. He was decidedly and firmly against hypocrisy, selfishness, and greed. He was tough on people with bad intentions. He taught us about the possible rewards of doing the right thing, but also about the consequences of doing wrong. Somehow many Christians have come to believe that love, compassion and charity translate into never holding people accountable. 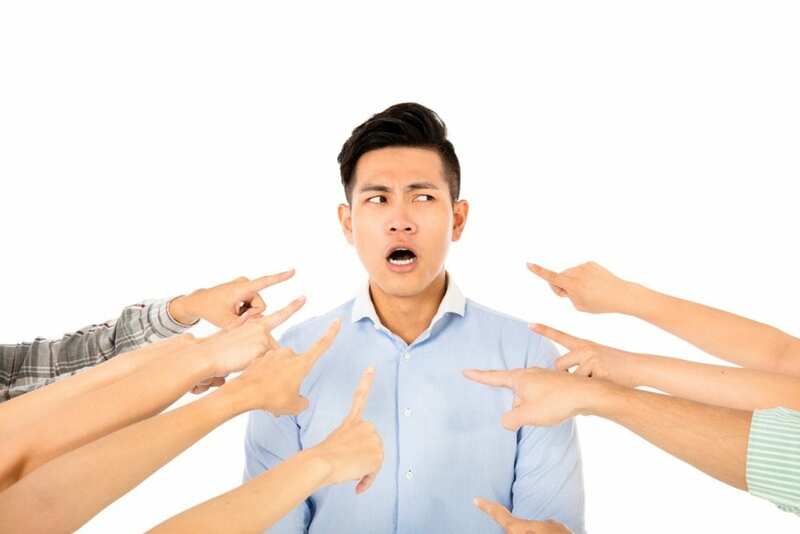 Accountability is too often equated with being ‘mean’ or ‘unfair.’ We have become wishy-washy in our expectations and unpredictable in our decisions. This is not what Jesus would do. As a Christian we can absolutely hold ourselves, and others, accountable. As a matter of fact, it is actually the charitable thing to do. What kind of success will a person have in life if she is never expected to rise to the occasion, keep her word, or be responsible for her choices? Without accountability, we would become spoiled, helpless children – too weak for this world. When you hold employees accountable, you are offering them an opportunity to embrace the behaviors that will bring them success and satisfaction in any area of life in the future. You are helping them to be the best possible version of themselves. And, you are helping them live up to the values that God commands. Of course, good management precedes accountability and is still necessary even if God is at the center of every employees’ heart. If it is important you need to follow up. Measurements need to be in place. Conversations and open dialogue reviewing how a project went. And discussions about our work quality is also okay. Did we execute to the best of our abilities this week? If you build accountability into your culture it is seen as a positive support system, not a punitive disciplinary process. It is the same reason that as a Christian we are thankful we have the Bible to understand and know our boundaries. It is our support system and safety net. Accountability may include discipline, but it is much more a positive safety net to ensure we live up to our commitments. As a business owner, it is positive to hold ourselves and our team accountable. I still believe it is what Jesus would do.